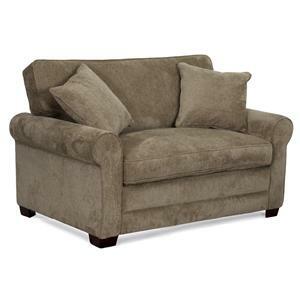 Add this versatile sofa sleeper to your living room. Use it as a sofa during the day and pull it out into a bed for night time guests. It has a quality queen size five-inch thick mattress with a gel-infused foam topper. 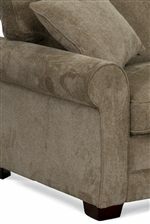 This sofa also has rolled sock arms, cozy seat cushions with welt cords, and dark block legs. 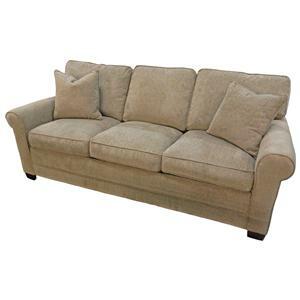 The 1021 Queen Sofa Sleeper with Rolled Arms by Synergy Home Furnishings is available in the area from BigFurnitureWebsite.